The essay that follows is extracted from a the appendix of a report concerning the excavations at Rumney Castle in south Wales (1978 & 1980-81) written by Mr. K. W. B. Lightfoot. The report originally appeared in Medieval Archaeology, vol. XXXVI 1992, and was also reprinted for the Glamorgan-Gwent Archaeological Trust. The report provides insight into the Norman advance on Glamorgan and Gwent towards the end of the 11th century, in what proved to be a critical period for Wales. More excerpts from the report can be found by visiting the Rumney Castle page here at the Castles of Wales web site. Our thanks go out to Mr. Lightfoot for providing us with this important historical background. The date traditionally given for the earliest Norman settlement in the region around Rumney in c.1093, when Robert Fitzhamon is reputed to have established Cardiff after invading and conquering much of the Welsh kingdom of Morgannwg following the death of its ruler Rhys ap Tewdwr. This version of events, however, has been seriously questioned and an important reinterpretation of the period, based partly on evidence only recently identified, is summarized here in order to better understand the background of events against which Rumney Castle was most likely to have been founded. It now seems certain that the Normans were involved in the affairs of the region far earlier than was previously thought and that the scale and purpose of their activities has been seriously underestimated. A convincing argument can now be put forward that Cardiff was founded in 1081 by William the Conqueror to serve as an administrative centre, complete with its own mint, for a heavily garrisoned Norman enclave within Morgannwg, which by this time had become a client kingdom. Indeed, the subordination of Morgannwg may have occurred as much as a decade earlier. In 1072 Caradog ap Gruffudd is recorded on the Brut y Tywysogion as having seized the kingdom with the aid of Norman allies in a decisive battle fought against Maredudd ap Owain on the banks of the Rhymney river. Although the Normans involved were not specifically named, later documentary evidence suggests that their services may have been secured on the condition that Caradog become a vassal of the English Crown. Certainly this was the status of Rhys ap Tewdwr, prince of Deheubarth, who came into possession of Morgannwg by deposing Caradog in 1081 and shortly thereafter reached an agreement with the Conqueror whereby he would render the king an annual sum of L40 for his possessions. As the Welsh are not known to have issued their own coinage at this time, it has been argued that payment of this yearly rent may have been facilitated by the establishment of a mint by William at Cardiff and possibly St Davids. The existence of the former can now be confirmed through the identification of five coins struck there, the earliest of which is unlikely to have been issued much after the early 1080s. The numismatic evidence would therefore appear to confirm those documentary sources which record Cardiff as having been founded in 1081, but which until recently have been generally discounted. In contrast, Fitzhamon's supposed invasion, for which there is a total lack of contemporary documentary evidence, is much more difficult to substantiate. In light of the evidence now available, it is more plausible to suggest that he simply assumed control of an established colony which he utilized as a base for further territorial expansion after Rhys's death. One of those territories which undoubtedly came under Fitzhamon's control was Gwynllwg, the fertile coastal plain stretching between the Rhymney and Usk rivers. Together with the barren upland commote of Machen, Gwynllwg had formed a cantref in Morgannwg whose borders were largely defined by these rivers. Under Fitzhamon this unit became a completely separate lordship which until 1317 was also held by the lord of Glamorgan, as the former kingdom of Morgannwg came to be known after its conquest by the Normans. Despite the close association between these two lordships, however, Gwynllwg retained its own administrative caput at Newport where Fitzhamon established an important castle. While Newport Castle guarded the lines of communication along the coast on the eastern border of the lordship, Rumney Castle would perform the same function on its western border. What is not clear is how much, if indeed any, of Gwynllwg had been occupied by the enclave established under the Conqueror. The fact that only Machen was retained by Owain Wan after his father Caradog ap Gruffudd had been deposed by Rhys ap Tewdwr in 1081 has been interpreted as suggesting that the lowland plain may have come under Norman control well before Fitzhamon assumed authority. While conclusive evidence is lacking, it is possible that Rumney Castle was built as early as 1081 on territory that had been ceded to the Normans by Rhys during his agreement with William. The suitability of the site as a place from which control of the river crossing could be exercised may even have been noticed by the Normans as early as 1072, when they would have had good reason to survey the vicinity during the period of their military alliance with Caradog. 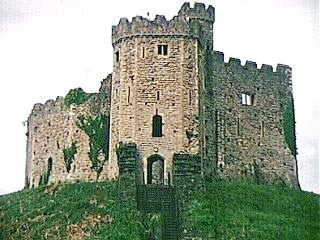 In any event, the construction of a castle is unlikely to have taken place much later than the initial period of Fitzhamon's occupation of Gwynllwg for the reasons outlined above. 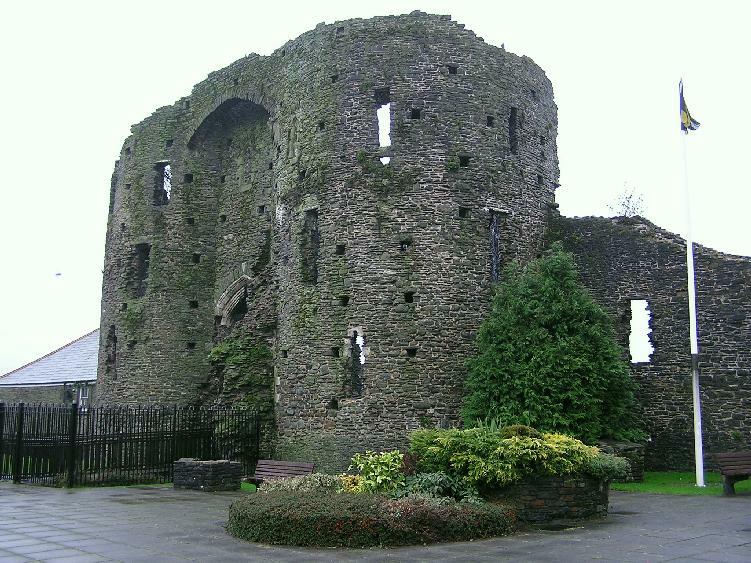 As there is evidence to suggest Rumney was granted to Robert de Haia during Fitzhamon's tenure of the lordship, it is also possible that the former could have founded the castle and it could have been built as late as c.1093. Although the duration of de Haia's presumed tenure of Rumney is impossible to determine, there is little doubt that by the early 12th century it had become a demense of the chief lord and would remain so except for one period during the latter half of the 13th century. Form c.1114 to 1147 it was held by Robert, Earl of Gloucester, who ruled Glamorgan and Gwynllwg jure uxoris. In 1135 Robert granted a portion of the manor to the sons of the Welsh prince of Machen in what was almost certainly a diplomatic effort to restore peace in the area following the widespread violence that erupted after the death of Henry I. These events well illustrate both the insecurity of the times and the very real threat which periodically existed in close proximity to lowland settlements like Rumney. Before his own death in 1147, Robert had succeeded in expanding the frontiers of his domain in south Wales as far west as Neath and establishing his lordship over most of the lands that had formerly constituted Morgannwg. Effective rule over this territory was in reality, however, only exercised in the coastal lowlands, as control of the upland commotes to the north remained in the hands of a succession of Welsh princes whose opposition to Norman authority was often displayed in open violence like that which broke out in 1135. Earl William, who inherited seisin from his father Robert, was engaged in several territorial clashes with the Welsh during his lordship of Glamorgan and Gwynllwg, and his death late in 1183 occasioned the outbreak of a major revolt throughout south Wales. As William had died without an heir his estates passed to Henry II, whose immediate task was to quell hostilities and restore order, something which was not achieved until the summer of 1184. Details concerning some of the expenditure incurred as a result of the revolt are listed in the Pipe Rolls, and amongst the accounts rendered for 1184-85 is the first historical mention of Rumney Castle, whose royal custodian, Robert Fitzwilliam, is recorded as being allowed £54s. 8d. for his services. While the account contains no specific details concerning the castle itself, the importance of its roll in controlling movement to and from the region east of Cardiff can clearly be adduced from the mention of repairs to the nearby bridge costing 31s. 6d. The scale of threat in south Wales had been so great during the revolt that Henry never gave up possession of Glamorgan and Gwynllwg despite his original intention of securing them for his son John by arranging a marriage between the prince and Earl William's daughter Isabel. Both the marriage and John's assumption of control over the lordships had to wait until shortly after the death of Henry in 1189. John, in turn, retained seisin of the lordships until 1214, even though he had divorced Isabel fifteen years earlier. He relinquished control only after Geoffrey de Mandeville, Earl of Essex, purchased the privilege to marry Isabel and the right to take the title of her inheritance. His tenure however, was brief, as he died within two years. Even shorter was the tenure of Robert de Burgh, who came into possession of the lordships after his marriage to Isabel, but was forced to surrender them upon her death in 1217. At this time the Countess' inheritance of the earldom of Gloucester along with her lands in south Wales passed to her nephew Gilbert de Clare. The de Clare family was to enjoy a long tenure of the lordships of Glamorgan and Gwynllwg, ending with the partition of their estates three years after the last male in their line was killed at Bannockburn in 1314. Over the course of the nearly 100 years that Rumney was in their possession, it was developed as a valuable source of income in keeping with the general policy pursued by the earls of directly exploiting their demense manors. For much of this period they were also engaged in establishing their supremacy over the Welsh-controlled upland commotes in Glamorgan and Gwynllwg in an effort to eliminate the perennial danger to those settlements along the coastal plain. In 1267 Gilbert the Red confiscated Senghennydd and within three years had also succeeded in annexing Machen, thus reducing the immediate threat to the area around Cardiff and Rumney. To insure that these territorial gains were permanent and to protect his greatly expanded lordship, primarily against the advances of Llywelyn ap Gruffydd, Gilbert wasted no time in constructing Caerphilly Castle at a strategic point along the frontier to the north. 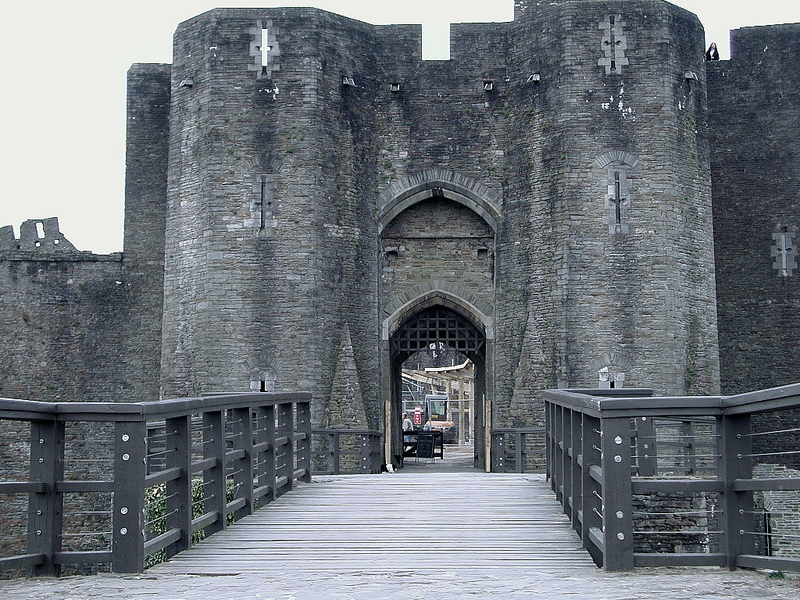 Although twice attacked and severely damaged by Llywelyn during the early stages of its construction, Caerphilly stood by the late 1270 as one of the most advanced and formidable castles in the British Isles. Its existence afforded the de Clares lands to the south, a strong measure of protection which may have given rise to a certain sense of security, especially in the wake of the Edwardian conquest of Wales in 1282-83. 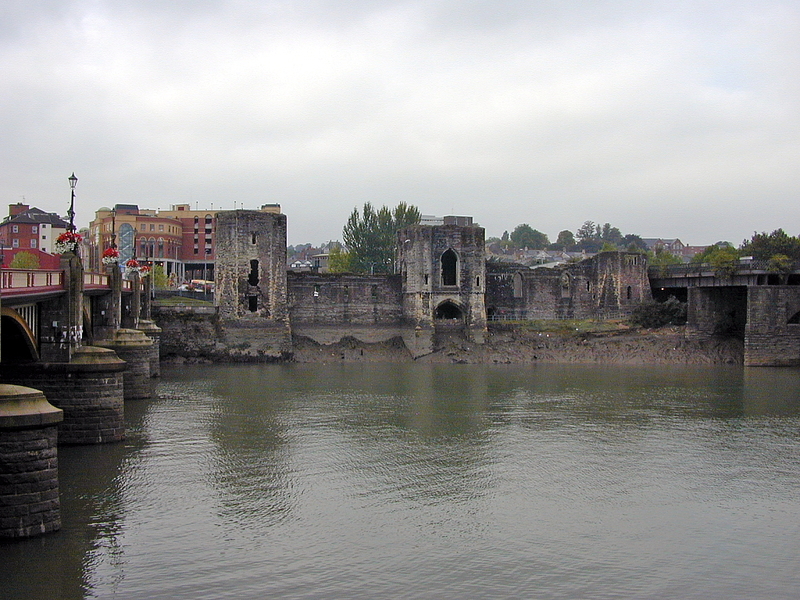 Over the whole of this dramatic period Rumney was in the hands of Gilbert's mother Maud, who held it along with certain other manors in south Wales between 1267-89 as part of a dower settlement arranged after a dispute with her son. Certain factors suggest that the conversion of Rumney Castle to a fortified manor took place at some point during this time. First, it is unlikely that the work would have been carried out before the annexation of Machen or the construction of Caerphilly Castle as the Welsh threat to the area would have been a pressing concern. Second, the archaeological evidence associated with the fortified manor points to a period of occupation which clearly came to an abrupt end most likely in 1295, but which was of considerably longer duration that the scant six years between this date and Maud's death in early 1289. It has been suggested that the reason for the conversion was to provide a suitable residence for Maud close to Cardiff, and it is obvious from the archaeological evidence that in its final form Rumney was a domicile of considerable status. It is not impossible that other factors were also involved. Although Maud retained manors of Usk and Trellech according to the terms of the dower settlement, she was obliged to hand over the castles in those places despite her claims to them. It is perhaps significant that with the slighting of Rumney Castle's defences during this conversion at a roughly similar period in time, Maud no longer possessed any site of serious military character in south Wales. While there is insufficient evidence to suggest Gilbert may have pursued any deliberate policy aimed at keeping his mother in check, it is worth considering that as a result of these separate actions Maud would have been in a weak position had she wished to renew a dispute with her son. A renewal of the dispute did not occur and Gilbert came into possession of Rumney, along with the other manors, at the death of his mother. In 1294-95 the profits from his demense were interrupted during the serious revolt that broke out in Wales. His possessions in particular were signaled out as targets by Morgan ap Maredudd whose family he had ejected from power in Machen in 1270, and who now lead the insurrection in Glamorgan and Gwynllwg. The full extent of the damage inflicted on Rumney was not documented in contemporary accounts, although its two mills were recorded as having suffered due to the fighting and were listed as worth only 20s. The extent historical, numismatic, and archaeological evidence however, points to this revolt as being a likely context for the destruction of the fortified manor. Over the course of the 14th and 15th centuries the manor developed into one of the most valuable demense holdings in the lordship of Newport, as Gwynllwg became known after its separation from Glamorgan due to the partition of the de Clare estates in 1317. It is clear however, that during this period the site of the former castle no longer figured into the scheme of events as there was little evidence to suggest even sporadic occupation with the exception of one structure which was either a signal beacon or a limekiln and an area of hardstanding.